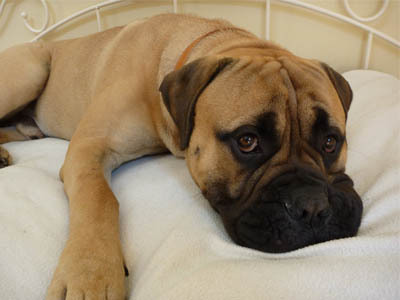 Hey Buddy!, I found this information for you: "Mastiff Magic: What I Learned from a Giant Puppy". Here is the website link: http://dorothyseeger.com/2014/04/07/mastiff-magic-learned-giant-puppy/. Thank you.